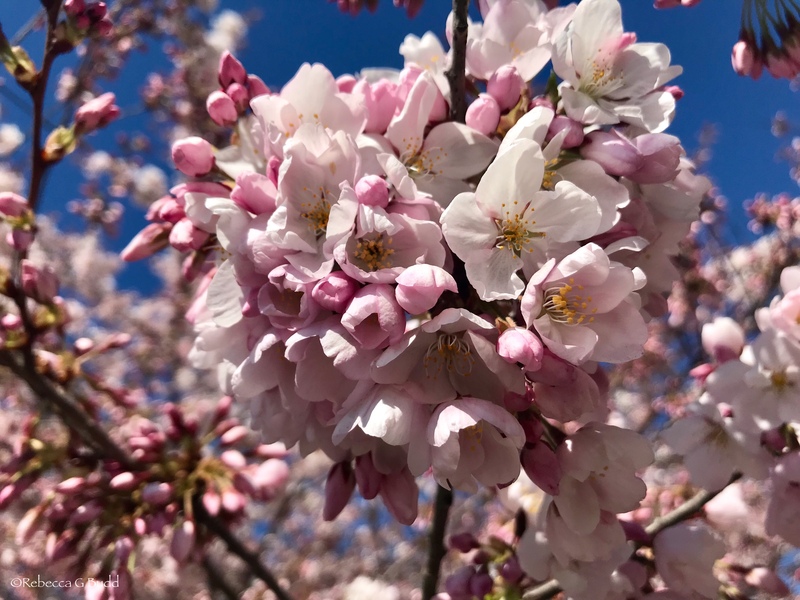 The cherry blossoms grace our lane ways and gardens, welcoming April, the month that was, in ancient Rome, sacred to Venus, the goddess of love and beauty. April is the month that gave us Leonardo da Vinci, William Shakespeare, William Wordsworth and, more recently, Wangari Maathai, Maya Angelou and Ella Fitzgerald. There is a warmth in the chill of an April evening, perfect for the beginning of journeys as immortalized in Geoffrey Chaucer’s, The Canterbury Tales. For me, April has always been about cherry blossoms. 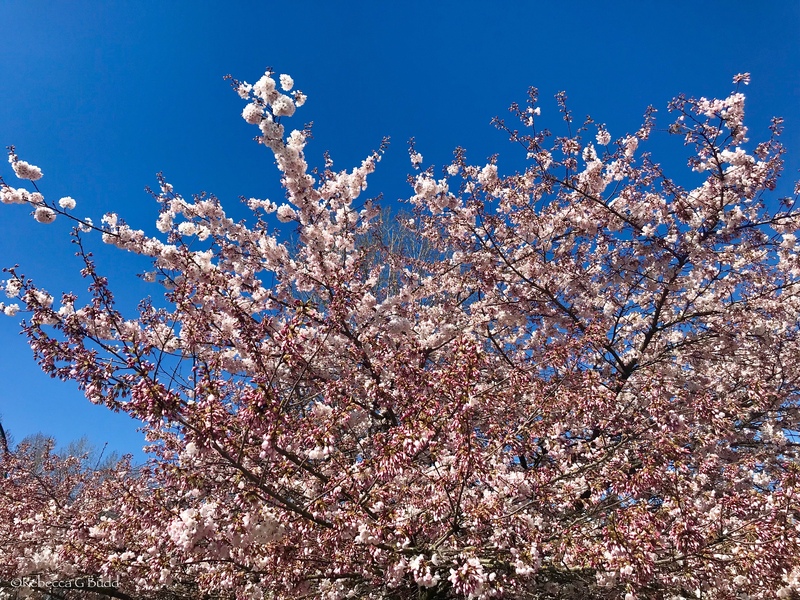 Vancouver is renowned for our approximately 50,000 cherry trees, which flower in varying shades of pink and white. Every year, we hold a Vancouver Cherry Blossom Festival. The cherry blossom is Japan’s national flower that has given birth to hanami, a century-old custom that is said to have its origins in the Nara period (710-794) which simply means flower viewing. Families and friends gather under the canopy of flowering cherry trees to share a meal and gaze up at the delicate white and pink against a pristine sky of blue. Nighttime brings out the paper lanterns that people carefully place in the trees to add a spectacular illumination, which highlights the profound idea of the ephemeral nature of life. The blossoms come for a moment to bestow a graceful elegance, covering pathways with petals, then, slipping away with the silent promise to return the next year. So, my dear friends, I invite you to join me under the canopy of a Vancouver cherry tree. Cherry Blossoms from Rebecca Budd aka Clanmother on Vimeo. 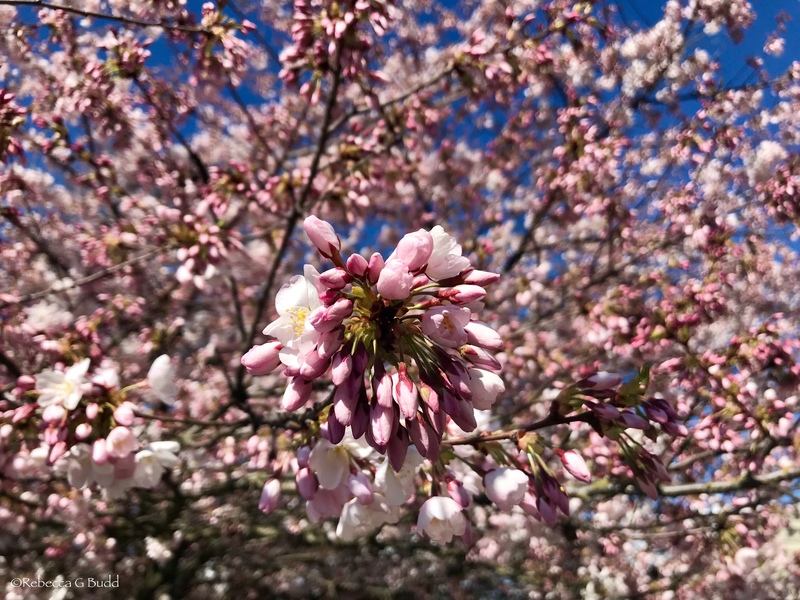 This entry was posted in Japan, Kobayashi Issa, LadyBudd, Matsuo Bashō, Trees, Vancouver and tagged Cherry Blossoms, Kobayashi Issa, Matsuo Bashō, Spring, Vancouver. March 22, 2019 celebrated World Water Day, which is the annual UN observance day that highlights the importance of freshwater. The day is used to advocate for the sustainable management of freshwater resources. I am writing this on March 23, 2019 to reaffirm my commitment to participate in this important dialogue. 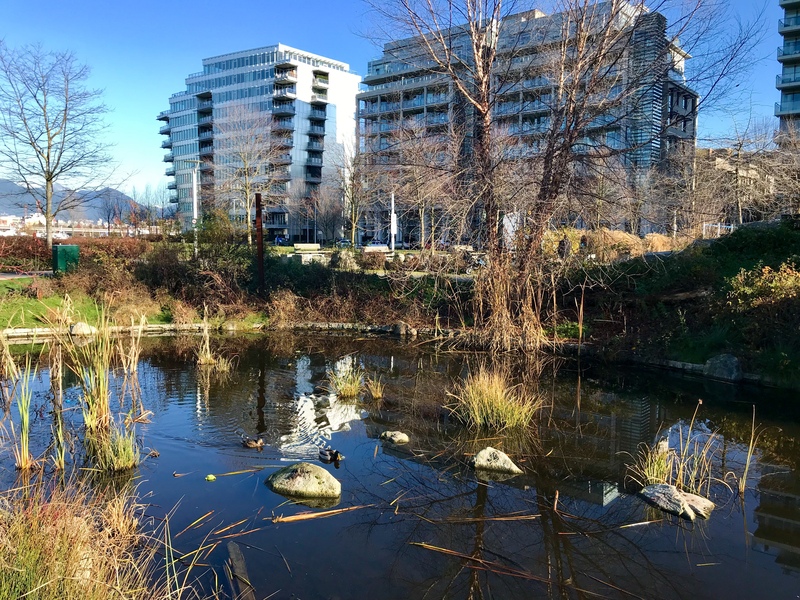 This entry was posted in LadyBudd, Vancouver, World Water Day and tagged Sustainability, Vancouver, Water, World Water Day. Michel de Montaigne There is a stretch along the Vancouver Seawall where great conversations are held. The voices, loud and impetuous, are heard from great distances. But it is only in the winter that we are able to see the participants. 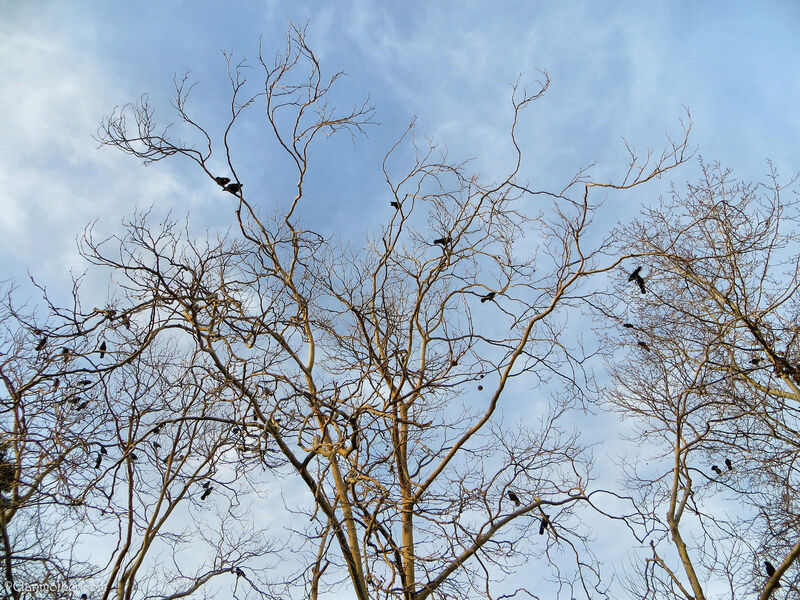 Every day, they gather to discuss the events of the day, their animated caws reverberating across the bare branches. They are a community that allows for forthright discussions. 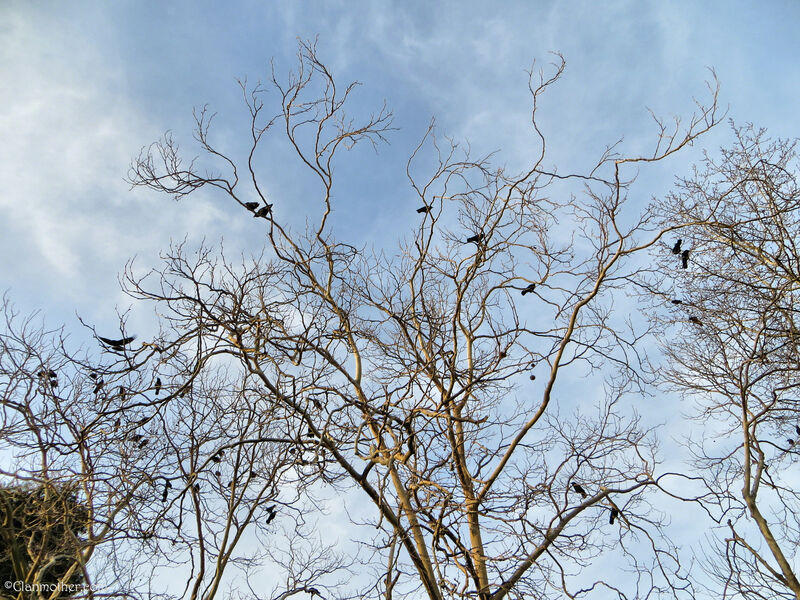 And then, in unison, they stretch out their wings and make their way home. This entry was posted in Crows, Vancouver and tagged Conversations, Crows. I have been away from blogging for a few months but my research into mythology continued over the summer. I have been listening to Professor Grant L Voth’s lectures on Myth in Human History, obtained through that marvelous institution, the Vancouver Public Library. It is wonderful to be back connecting with fellow bloggers. 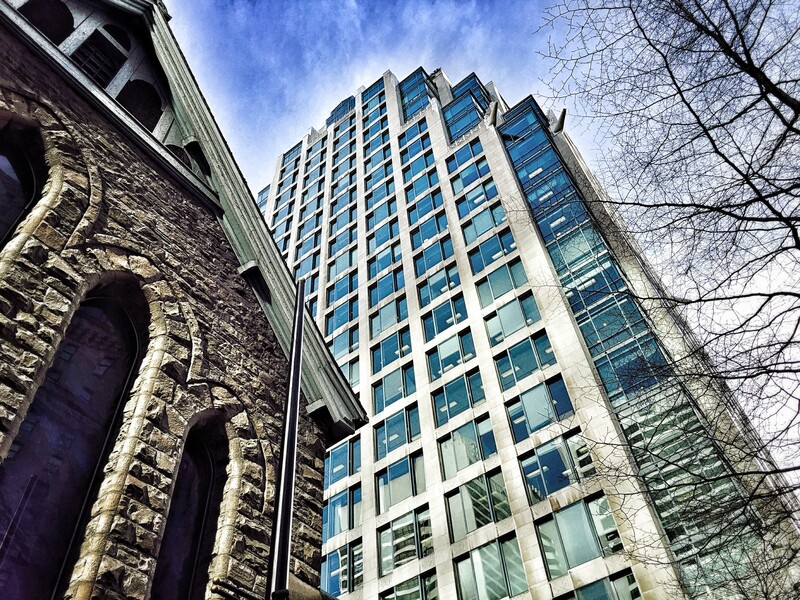 A few months ago, I stopped by Christ Church Cathedral, in downtown Vancouver. It was an impulse visit, prompted by curiosity and the need to leave a busy street behind. An open door welcomed me to the quiet solitude inside. There are moments when you stop, breathe and listen to the eloquence of silence. We live in a finite existence that limits us to time and location. Perhaps that is how we come to understand the nature of sacred spaces, whether they are found in natural surroundings, or by way of human creativity and ingenuity. 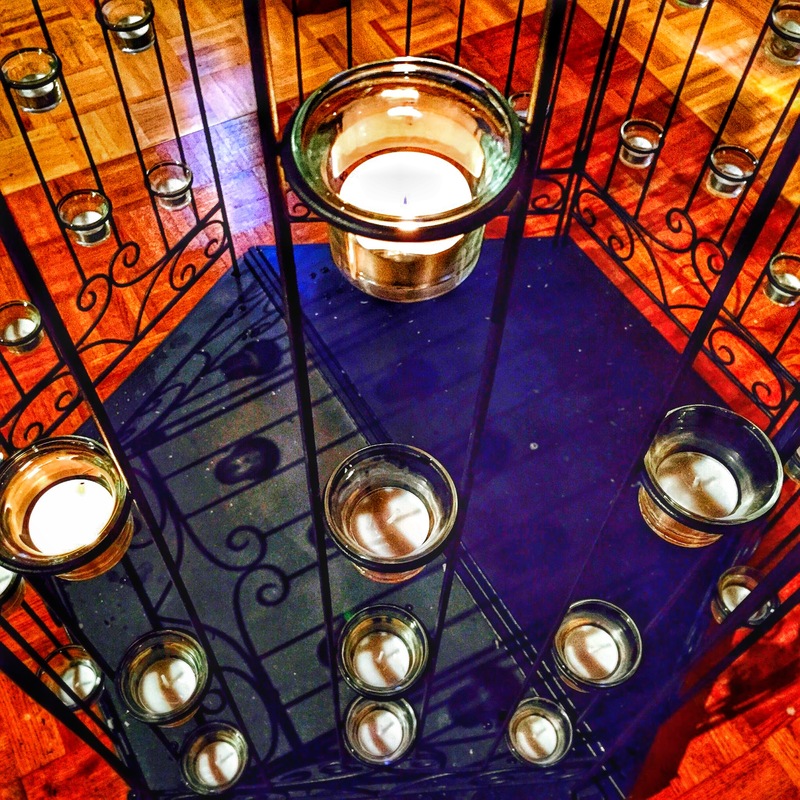 Sacred spaces are those places that give meaning to a profound longing, a shared understanding. It is recognizing the story of humanity, of embracing all of creation. For if you look closely, you will see in the corner of the Tree of Life Windows, the image of the parishioner’s beloved pet. 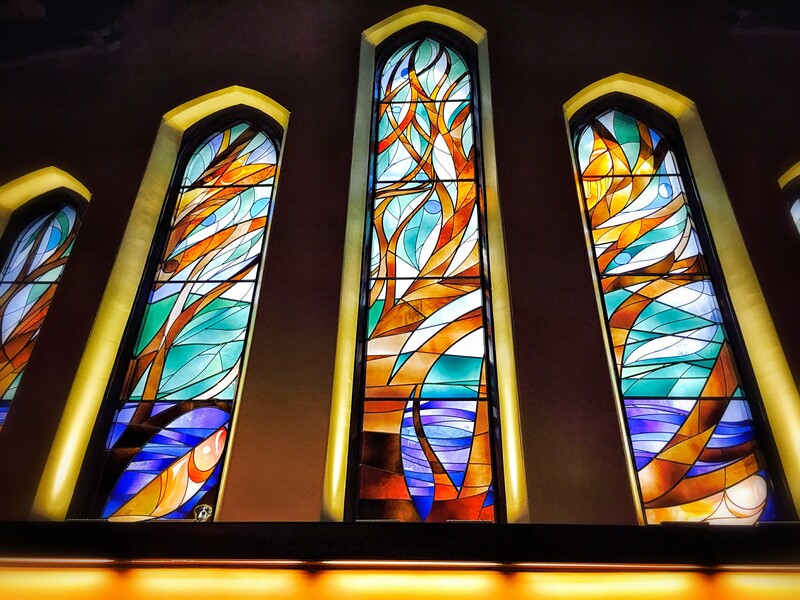 Gift to the Cathedral by long-time parishioner Jean MacMillan Southam. The window was designed by Susan A. Point, CM a Coast Salish artist born in Alert Bay who lives on the Musqueam First Nation Reservation in Vancouver, B.C. This entry was posted in Mythology, Vancouver, Vancouver Artists and tagged Christ Church Cathedral, Mythology, Professor Grant L. Voth, Sacred Spaces. This year, marks the 100th anniversary of Pauline Johnson’s passing. She died on March 7, 1913 of breast cancer, three days short of her 52nd birthday. In the end, she called Vancouver home. 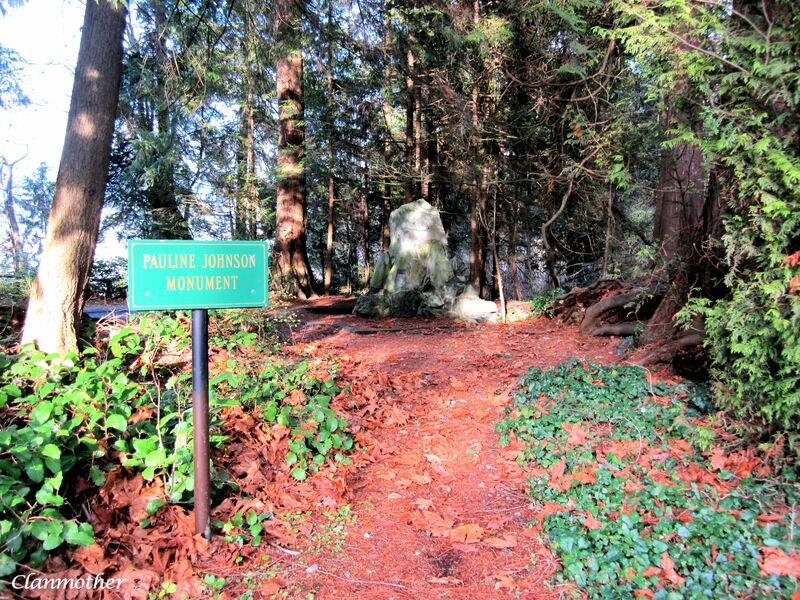 Her last wish was to be buried in her beloved Stanley Park. The city of Vancouver granted her request with the proviso that she be cremated. Pauline Johnson’s ashes were held in an urn encased within a small concrete vault that was gently placed in the ground. A granite boulder, which boasted a carving of double hearts, the tribal badge of the Mohawk, marked her grave. 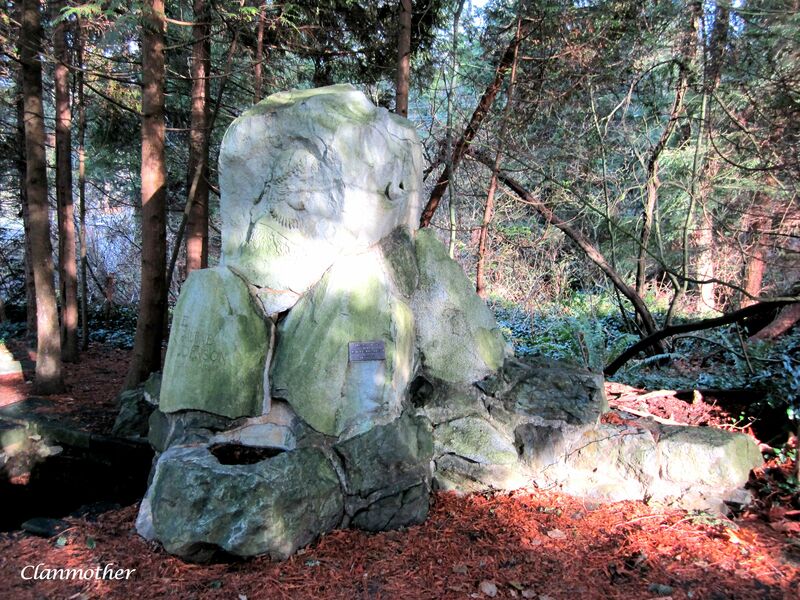 Today, what remains is a stone monument, established by the Women’s Club of Vancouver, as a final tribute. Pauline Johnson was a global voice that embraced universal themes of tradition, nature and compassion. These are dialogues that cannot be limited by time, space or culture. She honoured the customs of the past by preserving and sharing the stories; she paved the way for women and First Nation writers and performers to boldly pursue an artist’s path; most of all, she believed that what she wrote and spoke about was important. A woman of Mohawk and English parentage, living at the turn of a new century spoke for all of humanity. May we have the courage to do the same. And the things that you yet will do. This entry was posted in E Pauline Johnson, Poetry, Vancouver and tagged E Pauline Johnson, Poetry, Vancouver.